Addressing a press conference after a closed door meeting with state coordinators of SSWA, Don Agge said the emergence of Alhaji Atiku is the best thing to happen to Nigerians at home and the diaspora, adding that Atiku remains the only person who has the tactical well-withal to defeat Buhari come 2019. 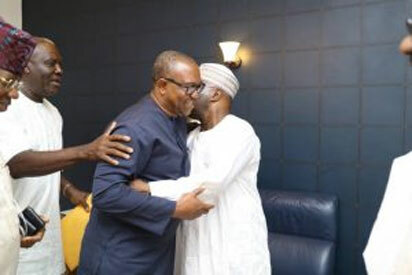 He revealed that with the complete acceptance of Atiku by former President Obasanjo, it is now a walk over for PDP in the polls, adding that Nigerians are already tired of the retrogression happening accross the 36 states of the federation. The ex-militant leader urged Nigerians, including Niger Deltans, to do away with APC which does not have vision and work for Alhaji Atiku to ensure speedy development of the country. He added that PDP would have lost the forthcoming presidential election if it had picked another aspirant as candidate but they took the right step in the right direction by choosing the best, because Alhaji Atiku has all the quality of a president and remains the best person to remove Nigerians from the shackles of poverty and degradation in the country, adding that Atiku would return Nigeria to its lost glory as soon as he assumes office in 2019.